We are excited to feature author Cate Berry and her picture book, PENGUIN AND TINY SHRIMP DON'T DO BEDTIME, illustrated by Charles Santoso (Balzer and Bray/Harpercollins). Enter to win a copy! Well, I’m on my third artistic career which is either brilliant or ridiculous. I grew up as an actress and I toured after college, ending up in New York City. Soon after, I left the acting world for songwriting, playing gigs around Greenwich Village. I did this for a number of years until I was fortunate enough to move back to my home state of Texas, where I cut a full-length album of my songs. Living in Austin, I married my guitar player beau and we settled into family life complete with two kids. Suddenly homebound, I read a lot of children’s books. I started writing. 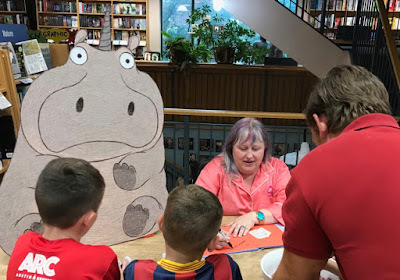 It felt so natural to write for children. I took some classes and really got serious. I met and signed with my agent right before beginning my MFA in Writing for Children at Vermont College of Fine Arts two years ago. I’ve been writing for children for about four years now and I’ve never been happier. Congrats on your PB debut, PENGUIN AND TINY SHRIMP DON'T DO BEDTIME! Tell us about it and what inspired you. We’ve all had similar experiences with children when we want them to do something and they fight us. But, if we slow down, and think, respond to them playfully, they usually end up coming around to our point of view much quicker. And everyone has a much better time! It’s this simple idea of empowering our children that I wanted to explore in my book. It interested me to write about a pair that were allowed to do as they please without following the pesky rules of life—like adhering to bedtime— only to find out that’s exactly what they want in the end. Also, I think laughter is wonderfully healing and should be practiced daily. I hope children and adults share a giggle while reading Penguin & Tiny Shrimp Don’t Do Bedtime! because laughter joins us. It gives us a chance to connect. I hope to always offer moments of connection in my writing. That is always my main objective. I think most people would say it was short. I’d only been writing a little over a year when I sold this book. Okay, that’s definitely short. However, I like to remind other writers that I had been studying acting, plays, character work, scene structure, poetry and lyric writing for a very long time before writing picture books. Looking backwards, it only made sense how applicable my background truly was. It was as if I had gone to Picture Book University through the back door. So, while I can say it took a little over a year to sell my first book, it really took about fifteen years of deep study in related fields to make it happen. Picture books, always picture books. I wrote a middle grade novel in the last semester of grad school and I’m still revising it. I also have been playing around with writing graphic novels. It’s so liberating to write mostly dialogue, which is my favorite. I have some ideas for non-fiction picture books I’ve been researching as well. I like to mix it up. The hardest part of writing is just getting started every day. Once I’m in the chair and scheming on the page I’m always happy and can go for hours. The easiest is dropping into my child mind. I’m really just a stunted four-year old. The world makes sense to me through a child’s perspective. I love getting lost in my imagination. Lately, I’ve been telling my students to try and shift their relationship with disappointment. There can be a lot of heartache in publishing and in the arts in general. I think it’s key to expect this and to expect there will be more closed doors than open ones. If you’re not caught up in thinking the world is personally unjust, it’s easier to be pragmatic about rejection. Also, especially if you’re a picture book writer, you have to read every day. The more you read the better you’ll get almost magically. There is a rhythm and musicality to picture books that needs to soak into your subconscious. Reading a lot will get you there. People think I’m very outgoing and extraverted. And I can certainly pull this off. But, I need lots of solitude. My ideal vacation is a house on the beach with a few good friends. And lots of books, of course. 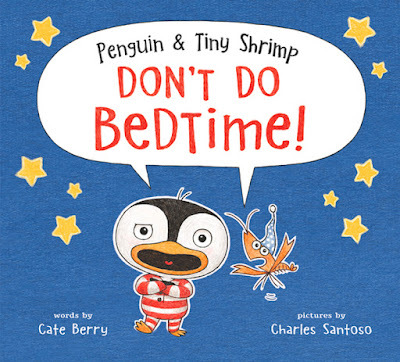 Cate Berry is the author of PENGUIN AND TINY SHRIMP DON'T DO BEDTIME! (Balzer & Bray/Harper Collns). It was pinned a Junior Library Guild selection and Publisher's Weekly called it "a buoyantly subversive anti-bedtime book.” She has forthcoming publications TBA and holds an MFA in Writing for Children and Young Adults from Vermont College of Fine Arts. Cate is a faculty member of the Writing Barn and also an active member in the SCBWI and Writers' League of Texas. 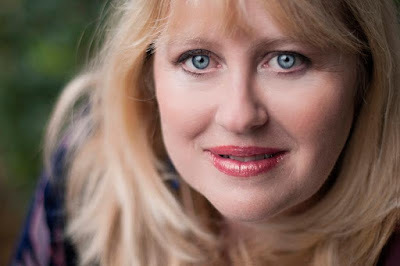 She speaks at schools, libraries and conferences year round. Visit her at www.cateberry.com to learn more. Wow, your artistic journey is incredible! Congrats on your debut, can’t wait to read it! So interesting to hear about your writing journey! Love funny PBs. We all benefit from more humor in our lives. Congrats on your debut book. Thankyou for sharing your story with us. I love the sense of humor in the text and illustrations! Can't wait to read the whole book. I've seen the trailer and it looks hilarious. Congrats, Cate! I have to read this book--I love humorous books and want to include humor in my own writing. I hope Penguin and Tiny Shrimp have many more adventures together. Cate, you've had a very interesting career. Your book sounds adorable. I look forward to reading it! This book sounds like tons of fun! Thanks for the chance to win a copy. This book sounds like fun and that's just what I need to help me in my too serious subject for a PB, but punching it up with 'fun' will help a lot. Thanks for writing this. Congratulations! This sounds like lots of fun. Love the tone of your writing and book. Can't wait to read it! Your career is amazing. Yes, you had lots of experience before writing your first picture book. Everyone's journey is different. Glad yours was relatively short!